THIS IS THE ELEPHANT And this is the Elephant Magazine. he Elephant Magazine is the publication dedicated to all things Elephant and Castle. We want to celebrate all that is fabulous about our neighbourhood and our community. We want to look back with fondness on the areaâ&#x20AC;&#x2122;s past and look forward with optimism to the future. 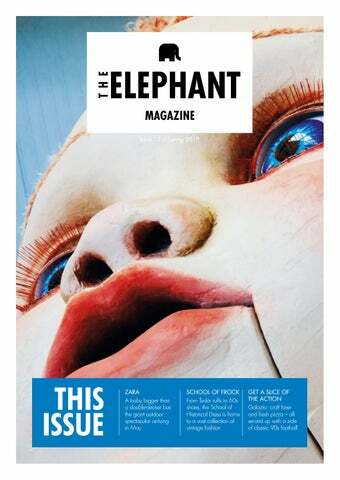 The Elephant is changing and the Elephant Magazine will be following every step of the way. Published by Southwark Council Editor Richard Wells Additional copy Nikki Spencer Main Photography Hannah Maule-ffinch Cover photo ZARA giant baby, Matt Vale Designer Nathan Heins, Westco Creative Printed by Swiss Post Enquiries councilnews@ southwark.gov.uk We welcome your ideas, comments and contributions, so please get in touch. restaurants, bars and cafes. To the south of Elephant Park, next to Walworth Town Hall, a new square – Walworth Square – has already opened to the public and Southwark Council’s new library and heritage centre is set to open, just around the corner, on Walworth Road. Sayer Street Sayer Street is a new shopping street that will connect Elephant Park to Walworth Square. The first part of the street is already open and, when complete, it promises to be a bustling neighbourhood destination, with casual dining, coffee shops and bars complemented by creative independent stores. The first business to open on Sayer Street is the beauty salon, Dima Beautiful, which arrived in January. Previously based at the Artworks Elephant (Lendlease’s ‘business incubator’ project) Dima Beautiful provides a range of services, from manicures and pedicures to hair treatments. And Dima is set to be joined on Sayer Street by plenty more businesses by the end of the year. Many of the shops have been earmarked for local food businesses and Sayer Street looks set to add to Southwark’s fantastic array of mouthwatering, independent foodie hubs, alongside Borough Market and Maltby Street Market. The first food outlet to come on board is Mercato Metropolitano – the sustainable community food market which already has a temporary site, nearby on Newington Causeway. Its new concept is MM Factory, which will open at the Walworth Square end of Sayer Street later this year. Naturally, customers will be able to buy groceries and their favourite ingredients here, but they will also be able to take part in a ‘rediscovery’ of how their food is made. The centrepiece of MM Factory will be a ‘theatre of flours’ – featuring a working stone mill – which will grind flour while customers enjoy freshly baked goods from an open-plan ‘food laboratory’. Plans include cookery classes and apprenticeships and customers can expect to enjoy delicious food, from around the world, from a selection of MM’s signature, sustainable micro-restaurants. The MM ecosystem is all about community; a place for an ongoing dialogue between local people, farmers, chefs, retailers and artists. We can’t think of a better place to build upon this community, with a new approach to urban retail, than Elephant Park. I’m excited for the future at Elephant Park. At Artworks we had one nail bar and one treatment room but this is a massive expansion. Now we have three treatment rooms, three nail bars, three pedicure thrones, hair stations, brow stations…the list goes on. The Walworth Connection The development of Elephant Park and the new town centre for Elephant and Castle will generate new trade and new opportunities which will reach deep into Walworth. and cultural displays. It will provide an opportunity to showcase some of the Cuming Collection formerly housed at the Grade II listed Walworth Town Hall. 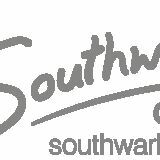 Throughout the planning process, Southwark Council has been careful to ensure that new routes and spaces (such as Sayer Street and Walworth Square) connect Walworth, and particularly the businesses on Walworth Road, into everything that’s happening to the north in Elephant and Castle. A fire put Walworth Town Hall out of action six years ago. Since then, the council has worked hard to stabilise and protect the building and has investigated various options to restore it and bring it back into use. In February, the council selected General Projects as a partner that will invest in the restoration and help to ensure the town hall has a sustainable and purposeful future. In 2017, Walworth became one of just 20 locations across Britain to be designated as a Heritage Action Zone (a scheme that will help support local businesses). Now, this heritage status is set to be bolstered by a new Library and Southwark Heritage Centre which will be run by the council in two new units provided by Lendlease on Walworth Road. For more information about the town hall and opportunities to get involved visit walworthtownhall.com. Alongside a distinct community, arts and culture space, the public will be encouraged to use the building by the inclusion of a cafe and a programme of events. The restored town hall will also have workspace for the creative industries, including a range of studios and an arts hub, and promises to be a dynamic new destination for Walworth. School of Frock The School of Historical Dress opened its doors on Lambeth Road two and a half years ago and now attracts visitors from across the globe. created a large temperature-controlled storage room which houses some of their extensive collection of clothes, from 17th and 18th century church vestments and velvet coats to Jean Muir dresses from the 60s and workmen’s waistcoats and hobnailed boots. “They’re not all grand pieces” says Jenny, “we’re interested in the ordinary clothes that people wore everyday too.” As well as offering courses and events, the school has published numerous books on everything from waistcoats to footwear, and are also involved in numerous research projects around the world. “We’re currently working on a big project with the Rijksmuseum in Amsterdam” Jenny reveals. “A chest of 17th century clothes was recently discovered by divers, preserved in a wreck at the bottom of the sea for more than 300 years. Inside, they found both Western and Ottoman clothing and now we’re helping them to find out more.” Jenny and her colleagues are also putting the finishing touches to the building’s restoration. This year, they plan to take part in London Open House weekend for the first time (21–22 September) giving the general public an opportunity to tour the building. “Locally, a lot of people still don’t realise that we’re here – so it will be great for them to be able to see inside and find out more about what we do” says Jenny. The council is working closely with Elephant and Castleâ&#x20AC;&#x2122;s developers to provide new trading and retail opportunities, at affordable rents, throughout the neighbourhood. Wherever you lay your hat Coworking, the habit of docking into a different shared workspace each day – depending on your mood or your needs – is booming. Now, Elephant and Castle is getting a slice of the action. he sharing economy has grown to encompass all manner of innovative schemes - from neighbours who swap unused furniture on local chat groups to shared cab rides brokered by some of the biggest names in tech. But one of today’s fastest growing trends is the appetite for shared workspace. day or month, the new coworking scene offers the kind of no-strings flexibility that appeals to freelancers and small businesses alike. But it also offers the chance to work alongside like-minded individuals; to make new connections, collaborate and find creative inspiration. A baby bigger than a doubledecker bus. ZARA, a spectacular, giant outdoor theatre event is coming to Elephant and Castle in May. Tucked away off New Kent Road, Drawing Room is a unique gallery and library that’s dedicated to opening up the world of drawing to everyone. converting it into an exhibition space. “It used to be a windscreen garage and had roller shutters in the front, so we put up walls and also created some artists studios upstairs. Luckily, as they were replacing windscreens rather than repairing cars, the floor wasn’t too bad” recalls Mary. It’s rare to find an artist who doesn’t draw. Italian 90s football has a bit of a cult following so we get people from all over the place. If you love Italian football, craft beer and stoned-baked pizza then get down to Golazio for a slice of the action. It’s just over a century since the first women won the right to vote in British elections. It was a major victory on the road to universal women’s suffrage and Elephant and Castle plays a small but important part in their story. include men and women, militants and non-militants, and all the various sects and classes of suffragists in equal terms.” Many of the founding members were pioneers – Caroline Spurgeon was the University of London’s first female professor, Louise Jopling the first female member of the Royal Society of British Artists, and Hertha Ayrton the first female member of the Institution of Electrical Engineers. Others were reformers, like Gertrude and Harold Bailie-Weaver (prominent animal rights activists) or Maud Pember Reeves and Charlotte Payne-Townshend, who were members of the Fabian Society. Others were well-known artists, such as the ceramicist William De Morgan, playwright Laurence Houseman, actress Lena Ashwell and pianist Gertrude Peppercorn. The First World War broke out just six months after the creation of the United Suffragists. The WSPU and NUWSS both chose to suspend all political activity for the duration of the conflict in favour of war work. In contrast, the United Suffragists continued its suffrage work alongside efforts to bring the war to an end and to lessen the suffering of those on both the fighting front and the home front. This is where the Elephant connection comes in. Before London South Bank University expanded its campus in the 60s, the land between Borough Road, Lancaster Street and Southwark Bridge Road was home to a block of buildings – 86 to 102 Borough Road. And, on 21 November 1914, number 92 Borough Road officially opened as the United Suffragists Women’s Club. It was a members’ club, where local women – whose husbands, brothers, sweethearts, and friends were on active service – could find a warm welcome, a cup of tea and something to eat, as well as a United Suffragists member who could lend a friendly ear or a shoulder to cry on. United Suffragists members helped to subsidise the cost of running the club by donating furniture, decorations, refreshments and their time and the club’s membership fees were kept to a penny a month – well within the means of poor working women. The club’s founders had a very specific goal: “we hoped above everything that the club looked like a club, and not like a philanthropic institution, and that our guests would see us as friends and not interlopers. And they did. They put us at ease immediately, as only real gentlefolk can.” One of these guests compared the club to a West End members’ club, which Votes for Women noted was “... exactly the assurance we needed – that we did not look like a charitable venture tempered with instruction.” The club had other objectives too. One was to assist women who were suffering because of the war. Food prices rose steadily throughout 1914–15 (partly because rationing wasn’t introduced until 1918). in Redcross Hall and outdoor speaker meetings held in Flat Iron Square. Winning over working-class women was particularly important to the group, which advocated expanding the existing voting system to include women but keeping the property qualifications – that excluded large numbers of working-class men from voting – intact. The United Suffragists Women’s Club proved phenomenally popular. Just four months after opening, it was already running out of space, so the building’s basement was brought into use as a dancing room. According to one report, the least used room in the clubhouse was the quiet room, kitted out for writing letters and reading. It was a ‘complete failure’, because club members preferred to “… congregate in the ground floor room adjoining the restaurant, set the gramophone going and under cover of its cheery optimism discuss everything under the sun…” It was later repurposed into a lecture room. Programming at the club was entirely at the request of members. It included sewing classes, reading evenings, a weekly suffrage meeting, a drama club as well as dance, gymnastics and military drill training. The club even had a savings bank for members. The club’s later life is a bit of a mystery but it seems likely that the club folded at the end of the war, given that it had served its dual purpose of supporting local women through the conflict while also expanding the suffrage campaign. When the Representation of the People Act was passed in 1918 it extended the vote to any woman over 30 who was married to a man with the vote. As this was the United Suffragists’ favoured result, they threw a final victory party and dissolved the organisation. One thing I really love about this area is the variety of food. I’ve lived here for over 35 years and whatever kind of food you want you can find, from West African and Latin American to Chinese. It’s all there in the shopping centre and in the arches nearby. It’s also great for public transport. You can get a bus to anywhere you want from Elephant and Castle. My sister lives here and I moved in with her in September as I’m studying at Camberwell College of Arts. I think the area is great. There’s so much to do with nice bars and a really good music scene. Friends of mine have run DJ nights at Corsica Studios and it’s great to be able to go to Ministry of Sound and walk home after. I also like the Manor pub on Walworth Road. I moved to Elephant and Castle six years ago because I had friends and family here. I love it. It’s so central and you can get everywhere very easily. I’ve got a scooter and I scoot to work and all around the area. The parks are great for my young daughter. She especially loves the new slide off Heygate Street. We like going to Hej on Rodney Place as they do good babyccinos and Tupi, the new café on Castle Square, has nice freshly made juices. The two places I always recommend to people are the Hoa Phuong on Hampton Street, as they do really delicious Vietnamese noodle and rice dishes, and Kaieteur Kitchen, the Guyanese stall in the shopping centre. They change the menu everyday and cook the most amazing stews and curries. When some people look at Elephant and Castle they just see the busy roads and the shopping centre but there are lots of interesting things happening in the side streets. I volunteer at the Drawing Room on Rodney Place. It’s a wonderful, free gallery that anyone can visit. I hope that more start to appear in future. I’m not keen on some of the new architecture but I like all the new paving. It’s lovely to be able to walk around without worrying about tripping up and I like all the planting they’ve done around here too. More still needs to be done about pollution though. When I was growing up, Elephant and Castle was a bit rough around the edges but things have improved since then and now there’s a good vibe. I cycle and it’s been much better since they got rid of the roundabout. I like the multi-cultural atmosphere too, especially the Latin American places around the shopping centre where you can eat and salsa dance. I liked the ten-pin bowling at the Superbowl. It was cheap and very retro. I also Iike Mercato Metropolitano as the food is good and it’s nice to be able to sit outside, especially in the summer when they have DJs.